Dr. Janet Robinson was appointed Superintendent of Schools to begin July 1, 2013. She earned her B.A. from California State University at Long Beach with a major in sociology, and her teaching credential from the University of Hawaii. While teaching in Anaheim, California, she earned her M.S. in Counseling and a School Psychologist Certification and then worked as a School Psychologist in the Los Alamitos District. 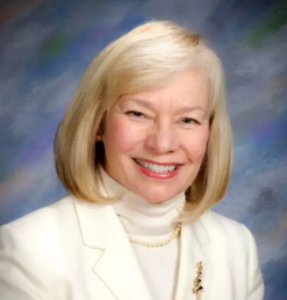 Moving to Connecticut, Dr. Robinson spent years as an Educational Consultant in districts throughout the country and eventually worked as Deputy Executive Director at Cooperative Educational Services in Trumbull, Superintendent of Schools in Preston, Derby, and Newtown before joining the Stratford Schools. Dr. Robinson earned her Doctorate in Educational Leadership from the University of Connecticut. She has been adjunct faculty at the University of Bridgeport, Sacred Heart University, and Long Island University. Dr. Robinson has been honored as the Peace Islands Educator of the Year, the University of Connecticut Superintendent of the Year 2013, received the Western Connecticut State University President’s Award, Connecticut Association of Public School Superintendents Exemplary Leadership Award, National Superintendents Roundtable recognition of heroic leadership and the Bridgeport Regional Business Council Educator of the year award.